Recently Fairfax media published an article written by Steve Robson, a professor and current President of the Royal College of Obstetricians and Gynaecologists. After 30 years, he has written about his attempt to kill himself while a young Registrar working in Rockhampton due to (self-diagnosed) depression. He tells of taking some ‘ward items’ home and before he got a chance to use the items, some friends thankfully knocked on his door. Soon after, Fairfax published a related article by Kate Tree, a fellow Registrar at the time in Rockhampton suggesting the friends calling at Steve’s place 30 years ago was no accident. The two related articles are a tragedy on a few levels. First, that someone actively chose to believe that his life was not worth living — if nothing else his later achievements demonstrate how wrong he was. Second, that to seek the help he needed was seen at the time to be a sign of weakness and could have jeopardised his chosen career. Third, that those that did attempt to help still feel 30 years later, that they didn’t have the appropriate skills and tools to do anything except stop the imminent death of a colleague they clearly cared about. However, it’s not all doom and gloom. Clearly admitting that your mind was ill at some point in your life is not a career limiting move 30 years later. Research and advances in our knowledge of mental health issues over the past 30 years have undoubtedly saved a lot of people from taking their own lives, from the cost effective step of the signage at South East Queensland railway stations suggesting Lifeline will listen if you need to talk, as well as more expensive therapies or medications to ‘normalise’ brain activity. Campaigns such as RUOK and ‘Mates in Construction’ are also a result of research. Research has made the current decade a far healthier place to live than previous decades, not only for those who can now be open about their mental health problems. We now understand issues that affect people’s abilities a lot better than before. People can also be far more open about health issues, treatment and ongoing needs. As well as medication and ongoing treatment for various medical issues, we now make buildings and public facilities such as public transport accessible to people with disabilities rather than locking people with permanent or temporary physical or mental disabilities up in institutions for the term of their natural lives. In 1998 Wakefield published a paper in the Lancet that wrongly suggested that the combination measles, mumps and rubella vaccine was responsible for triggering an allegedly new condition called “autistic enterocolitis”. Subsequent investigations found that Wakefield had fabricated data and that he had undisclosed conflicts of interest. Wakefield’s co-authors disowned the article, the Lancet published a retraction, and Wakefield was stripped of his licence to practice medicine in the UK. Despite this, anti-vaccination has continued to dominate our cultural conversation around autism. Why, when all the science proved otherwise? A growing scepticism of authority explains some of it, but fear of autism is at the heart of the scare stories. Autism is not a death sentence by any means. There is evidence that Isaac Newton and Albert Einstein were autistic. So at the same time as research is determining that autism is a spectrum and most if not all of us are on the spectrum, we have a scare campaign happily supported by alt-right politicians like Hanson and others who clearly have ulterior motives trying to demonise those who don’t meet their criteria of ‘normal’. Rather than look at the evidence and analysis scientifically, they have chosen to believe in cause and effect. Autism can be diagnosed from about the time of the last immunisation needle is given for the elimination of Rubella — so those that can’t be bothered doing the research jump to the incorrect conclusion that one causes the other. Rubella is a potentially fatal illness that has particular lifelong risks for unborn children. The good news if you happen to live in Australia is that Rubella is now officially declared to be eliminated in Australia due to the free immunisation program that has been offered for a considerable period of time. Health Minister Greg Hunt said the elimination of rubella was a “highly significant public health accomplishment”. “The elimination of rubella is a great day for public health in Australia and sends a powerful message that vaccinations work,” Mr Hunt said. Despite the odd loose cannon like Wakefield, we have the technology to understand and diagnose potential illnesses far earlier with far more precision thanks to years of research. As a result, far more people are able to ‘label’ what is wrong with them or their friends or family. This has some advantages in that people can be treated in various ways to reduce or eliminate pain, can be fitted with protheses to assist them in daily life or strategies and services to assist in overcoming problems with conditions such as autism. 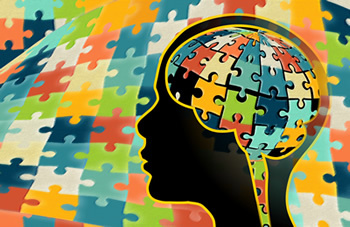 Autism diagnosis is increasing due to better understanding of the disease, just as strategies and preventative measures to help those with mental illness and a host of other issues have improved dramatically over the past 30 years. Generally, society is a better place as a result of our deeper understanding of the world we live in as well as how our bodies work. Even so, we still have conspiracy theorists and alt-right politicians using cause and effect for their own benefit. Here’s a simple experiment to prove how well ‘cause and effect’ works. If I wash my car it rains, so cause and effect would suggest that if everyone in Australia washes their car next Sunday morning the drought will be over by lunchtime! Of course there is no connection between washing cars and drought breaking rain. Anyone who tells you with any seriousness that there is, just as anyone who is arguing that autism is caused by vaccination, or those with physical or mental health issues at some point in their lives should be institutionalised, are the ones with the real issues. Autism comes in varying degrees of disability and practitioners in therapy have developed some excellent modus operandi. My grandson was the product of a 33 hour labour, is left handed was diagnosed as autistic and now is a Mathematics savant. It took us too long to learn that he was super-sensitive to loud noise. What was medium level noise to us was a shouting screeching cacophony of sounds that were painful for him to hear. At age 7 he was beating his grandfather playing chess on merit (no favours on the chess board here). In Year 4 he thought the best birthday present was the Year 6 Mathematics Text book. His extended family and wonderful state primary school have been hugely supportive and encouraged him to attempt everything. That is an important part of the secret. Now where is that book on Trachtenberg Mathematics? The arguments for and against vaccination become emotional and lose sight of some important factors. In the lab testing, vaccines are prepared for testing and normal quality control procedures are used while trials are conducted. When vaccines are approved for release, they undergo changed manufacturing processes where preservatives, adjuvants (added to a vaccine to boost the immune system) and other ingredients are added to the delivery system. Then we have multiple vaccines included in one delivery, such as MMR, which is quoted as a single vaccine and considered safe by the medical profession. When vaccines are transported from the production facilities to the vaccination centre, we assume temperature controls are in place and no forms of radiation or other contamination occurs. It seems comforting to the ‘pro-vaxers’ (and I am in favour of vaccination as we saw it done in the 1980s) to constantly state that ‘anti-vaxers’ are still completely bamboozled by the long discredited paper of Andrew Wakefield, rather than listening to the very realistic concerns that should be considered, and which are never properly answered. David Bruce sets out a much fairer analysis of why some people are concerned about the mixing of a much larger number of vaccines in various chemical solutions, and particularly where these are being given to infants. Since my daughter, holder of a degree in Forensic Science, had her baby, she has researched thoroughly the information made publicly available through the Centres for Disease Control, Atlanta USA, and the NSW and Queensland Departments of Health, as well as many academic sources. She would be willing to vaccinate on her own schedule, with a limited number of vaccines, but she is not willing to follow the existing vaccine schedule. At times it is a very tempting course of action.